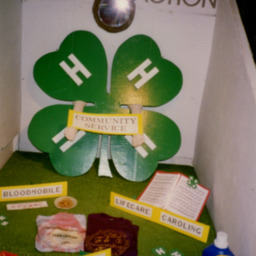 Scan of a photograph showing a 4-H exhibit at the 1993 Shenandoah County Fair. 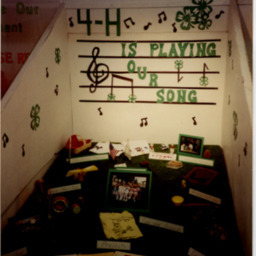 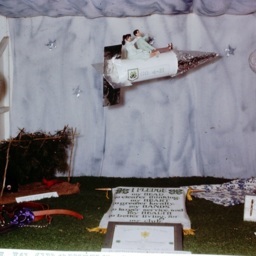 Scan of a photograph showing a 4-H display at the 1990 Shenandoah County Fair. 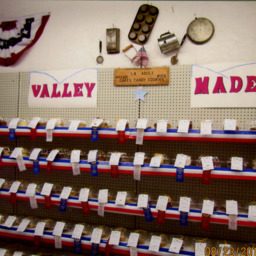 Undated photograph showing "Valley Made" baked good during the Shenandoah County Fair. 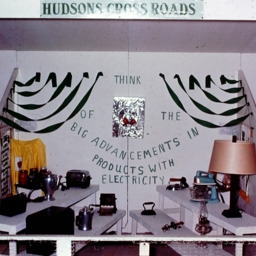 Photograph showing the Hudsons Cross Roads 4-H Club's booth at the 1964 Shenandoah County Fair. 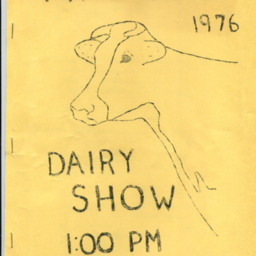 It demonstrates "advancements in products with electricity." 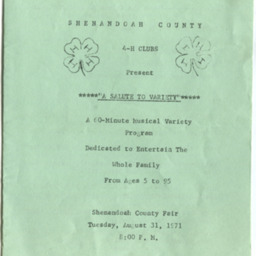 Scan of the 1976 4-H/FFA Dairy Show at the Shenandoah County Fair.